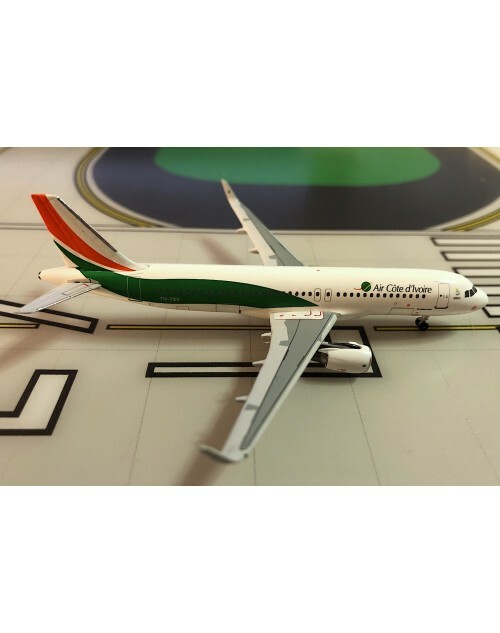 1/400 scale diecast AeroClassics Air Cote d'Ivorie Airbus A320-214SL with current color scheme. Registration no: TU-TSV, msn: 7742. Item # AC4 19491. Released in March 2019. Dimensions: Length: 3 5/8 inches (9.2 cms), wingspan: 3 3/4 inches (9.5 cms).